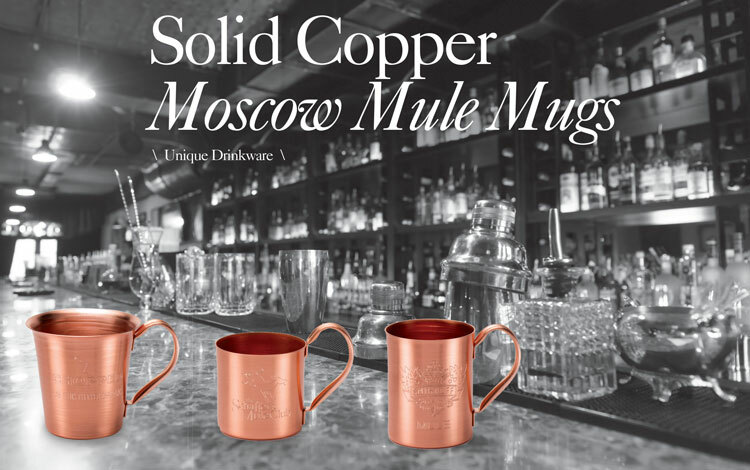 Conceived in 1941 as a clever promotion for a Hollywood bar, both the Moscow Mule and its accompanying solid copper mug continue to signify an uncommon style of refined refreshment. "In a copper mug, pour vodka over ice. Add sugar syrup and lime juice. Top with ginger beer and stir. Garnish with mint sprig and lime slice." Solid Copper Moscow Mule Mug. 10 oz. Solid Copper Moscow Mule Mug. 18 oz.